But, hey, thanks for playing! I was all ready. I had a whole bunch of "Last Place Arsenal" jokes to use throughout this piece (because if you can't find the humor in it, it's just sad.) But no, West Brom had to go and lose by three to Manchester City, and Arsenal lost its place propping up the table. Can't you just think of the jokes for once, Premier League!? 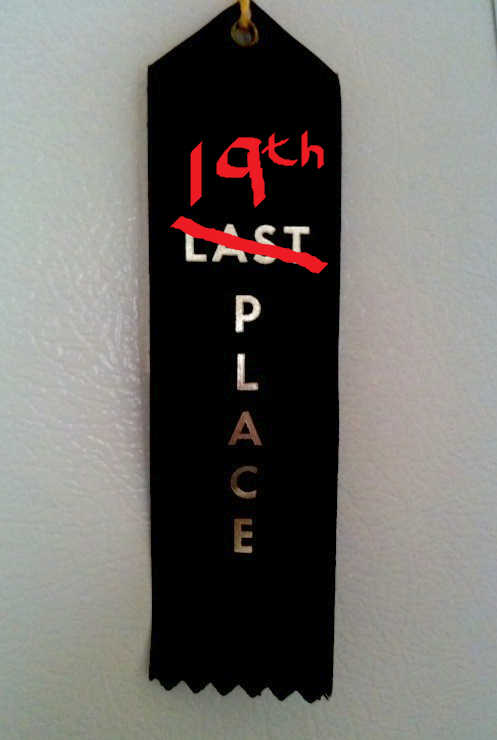 Anyway, here we are, 19th place Arsenal, which just doesn't have the same ring to it. There's been a lot of garbage on the Interwebz this week, which always happens after bad results. My personal favorite is that Arsenal didn't play a strong enough preseason, as if wins against the team that won last year's Premier League, the team that won last year's German Cup and came second in the Bundesliga, and the team that finished second in last year's Ligue 1 made it a cupcake schedule of some kind. Listen, as long as there's money in touring the world in the preseason, then you're going to have to deal with Arsenal playing at least one match against whatever all-stars that area can put together. Clunkers happen at all points of the season. Problem is, right now, it's 100% of the sample size. ARSENAL ARE ON PACE FOR ZERO POINTS THIS SEASON. 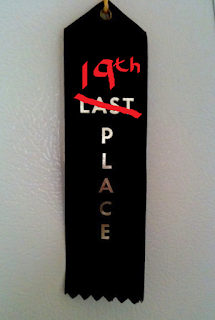 Seriously, we're on pace to finish 114 points out of first. 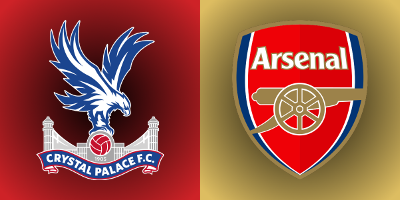 Arsenal will try to right the ship in South London this week as they face a Crystal Palace team that have provided difficult matches over the last two seasons, even if Arsenal have gone on to win all of them. With a win, Arsenal will improve their pace for the season from zero to 57 points, which is quite a jump! Remember this guy? Midfielder, right? I'll start with some good news, as Hector Bellerin, a mysterious absence from last week's squad, has recovered from his muscle problem and is available for selection. Also available is Alexis Sanchez, who, let's face it, we weren't really that shocked to see get a run-out when we were down 2-0 last week. The man is a machine. Elsewhere in the squad, Danny Welbeck has returned to full training, though he is way behind in terms of fitness (as he's been injured since April.) He's not yet available for selection. Meanwhile, Jack Wilshere is two weeks into the four weeks he is expected to miss before returning to training. 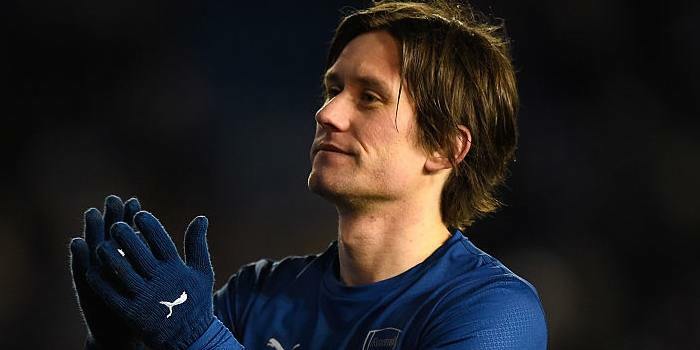 And then, we come to poor Tomas Rosicky. Injured on international duty this summer, word has come out that the Czech midfielder has undergone surgery on his injured knee. On Wednesday, his agent stated that he would miss one or two months, but then yesterday, Arsene Wenger confirmed that the expectation is he will miss more than that. Biggest question for the squad is, if Alexis Sanchez come in to start, who drops out of the XI? Alexis tends to line-up down the left flank, meaning the Ox's place should be safe on the right. My guess is Aaron Ramsey will drop. Predicted XI: Cech, Bellerin, Mertesacker, Koscielny, Monreal, Coquelin, Cazorla, Ozil, Alexis, Oxlade-Chamberlain, Giroud. Ex-Arsenal striker Marouane Chamakh will be short for the match as he recovers from a hamstring injury; the spiky-haired Moroccan has been penciled in for a start with the reserves next week. Also missing with a hamstring injury is Frazier Campbell, who might be out for the rest of August. Goalkeeper Julian Speroni might also be out for the rest of the month as he deals with a badly injured finger, so Alex McCarthy will keep his place between the poles. Kwesi Appiah suffered an ACL tear on international duty in June and could miss the season; Appiah spent last season on loan at Reading, one of seven clubs he has spent time with on loan after signing for Palace in 2012. There's a bit of a question as to how Alan Pardew's side will line-up for the match, in terms of personnel. Palace tend to sit deep and use the flanks to counterattack, but they have a number of different weapons at their disposal up front. Their biggest summer signing, Yohan Cabaye, will likely sit deep, but up top, Pardew may opt to start Connor Wickham, signed from Sunderland this summer. 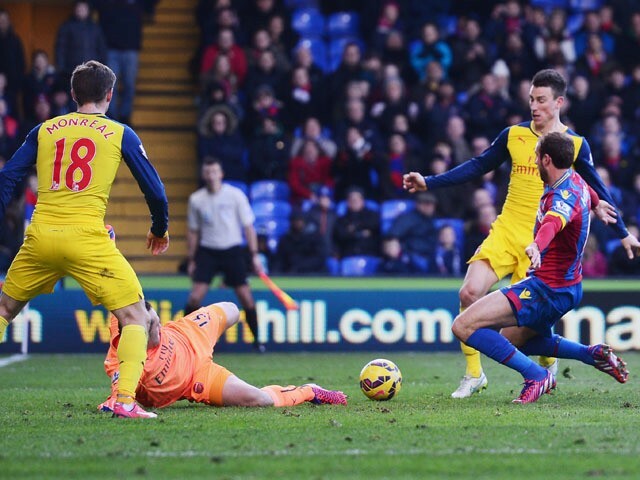 Last week, Glenn Murray got the start up top; he scored in this fixture last year. 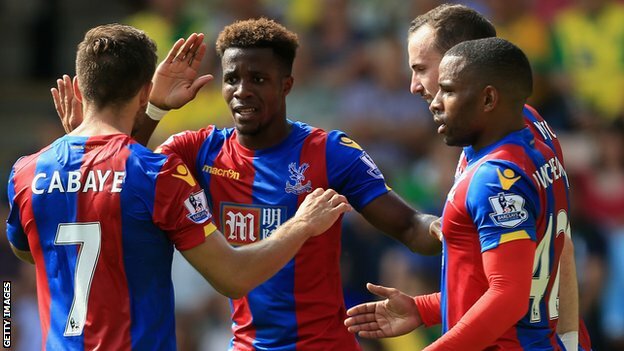 Predicted XI: McCarthy, Ward, Dann, Delaney, Souare, McArthur, Jedinak, Cabaye, Zaha, Puncheon, Wickham. refs, such as Howard Webb and Anthony Taylor. Ah, yes. Writing about "current form" in week two of the season. Basically, for Arsenal, you could just say "BAD" and for Crystal Palace, you could say "GOOD." But, again, that was based on one match. Since you probably know how Arsenal's match went last week (poorly!) I won't expound on it any further. As for Palace, they defeated newly promoted Norwich City 3-1, in a match that was much closer than that scoreline would indicate. Wilfried Zaha and Damien Delaney gave Palace a 2-0 at Carrow Road before Nathan Redmond pulled one back for the Canaries in the 69th minute. Cameron Jerome had what appeared to be an equalizer for Norwich, but it was disallowed as referee Simon Hooper ruled Jerome's boot was high when he kicked it. If you don't recognize that name, it's because this was Hooper's first career Premier League match. Yohan Cabaye scored an insurance goal for the Eagles in stoppage time. with just minutes to play in this fixture last season. Arsenal won both meetings last year, each by a 2-1 scoreline. Both ended nervously, for different reasons. These clubs met in the middle of August last year, although on that occasion, it was the opening day of the season, instead of week two. Palace took a shock lead at the Emirates through Brede Hangeland, but (unlike last week) Arsenal were level by halftime through a Laurent Koscielny header from a set piece. The match remained a frustrating 1-1 through the second half, until Jason Puncheon was sent off for a second yellow card in the 89th minute. That left Aaron Ramsey open in the box after another set piece to score an injury time winner. At Selhurst Park in February, Arsenal led 1-0 through a Santi Cazorla penalty after eight minutes, and doubled their lead thanks to an Olivier Giroud goal just before halftime. It was not, however, a good performance from Arsenal. Palace out-possessed the Gunners and took 10 corners to Arsenal's one. Glenn Murray scored in injury time to set-up a grandstand finish, but he was denied a brace and a 95th minute equalizer by the woodwork. Crystal Palace have beaten Arsenal only three times in 36 all-time meetings; two of their three wins came at Highbury, one in 1970 in the League Cup and the other in 1994. Crystal Palace have not beaten Arsenal at Selhurst Park since November 10, 1979, when they beat the Gunners 1-0. Since then, Arsenal have won seven and drawn five in South London across all competitions. Overall, Arsenal are unbeaten in 12 against the Eagles, winning eight, including five straight. The referee is Lancashire-based Lee Mason. Arsenal won both matches played with Mason as the referee last year, 4-1 over Newcastle at the Emirates in December and 3-1 over Hull at the KC Stadium in May. In fact, Arsenal are now unbeaten in their last 13 matches with Mason in the middle; Arsenal's last loss with Mason as the referee came at the end of the 2009/10 season when Lukasz Fabianski helped Wigan overcome a 2-0 deficit inside of ten minutes to win 3-2. Palace were unbeaten with Mason last season as well, drawing 0-0 at White Hart Lane, winning 1-0 at Leicester, and beating QPR 3-1 at home. Palace's home win against Chelsea two seasons ago also came with Mason in the middle. The Eagles are unbeaten in six with Mason as referee, dating back to a 4-1 loss to Fulham in October of 2013; that was Ian Holloway's final match in charge of Palace. John Painting is a contributing writer to the Modern Gooner and a first-time caller, but a long-time listener. You can follow him on Twitter @zorrocat, where you don't really notice those listening skills.